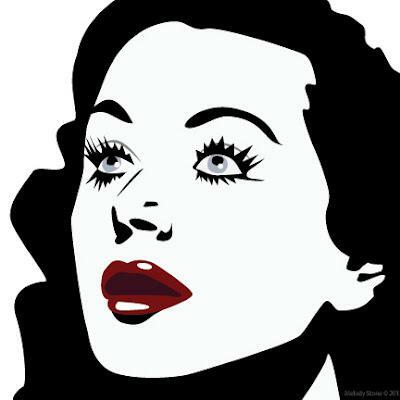 I posted my Grace Kelly portrait on Facebook and my sister said she looked like Hedy Lamarr. Honestly, I had heard the name, but wasn't familiar with her body of work. I looked her up and found a couple reference pictures and set about illustrating her in Adobe Illustrator (my new favorite toy). I was really taken with her extravagant eye laces and took some artistic license when illustrating them. Now to see if Boom Town is on Netflix streaming.